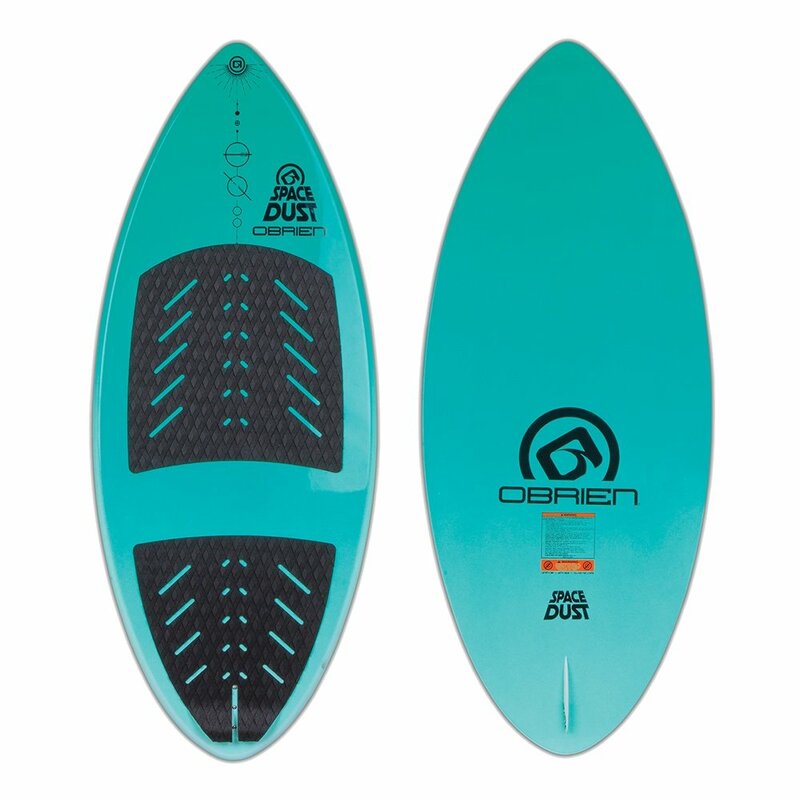 The budget-friendly O'Brien Space Dust 52" Wakesurf is designed to help beginning riders free their feet and enjoy the wake in a whole new way. The built-in EVA traction pad helps hold you in place while providing some cushion, and the PAC 1.1 Fin underneath keeps you tracking straight in the water. The whole board is a Skim Style design that is easier to control and more responsive, making this the perfect way to build your skills behind the boat.